The Atkins diet is a low carb diet which attempts to achieve weight loss through a process called ketosis. Since its introduction in the 1970’s, some of the principles of the Atkins diet have been adopted by copycat diets like the diet, and more recently high protein diets like the Paleo diet and 5:2 diet. Ketosis results from the body switching from using glucose for energy to using stored fat. By ‘starving’ the body of carbohydrates, the body’s preferred primary source of energy, low carb diets like this force the body to switch to metabolising fat. When the Atkins diet was initially launched, its founder claimed that metabolising fat uses more energy that metabolising carbohydrates, so dieters had an added advantage of switching to a low carb diet. This claim has since been shown to not be the case with researchers concluding that people on the diet simply consume less calories each day because the diet has reduced appetite appeal. Today, promoters of the Atkins diet suggest that the diet works because it helps keep people feeling fuller for longer because fats and proteins take longer to digest than carbohydrates. They point out that most weight loss diets fail because of hunger. Like most diets, the Atkins diet recommends a minimum of 30 minutes of exercise per day. Again, as with many other diets, support is available from an official website offering access to online forums, meal plans, and weight-loss tools. 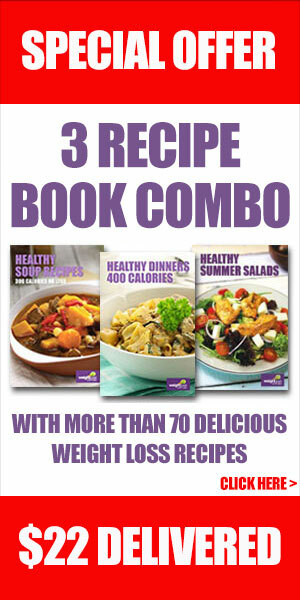 Atkins Diet products, such as cookbooks, shakes and snack bars are also available. 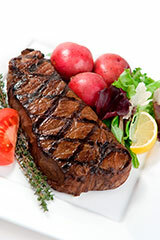 The Atkins diet has four phases; 1. Induction, 2. Ongoing weight loss, 3. Pre-maintenance and 4. Lifetime maintenance. The induction phase is the most restrictive phase of the diet, lasts about two weeks, and is designed to get the body into a state of ketosis. Some people experience headaches, constipation and bad breath during this period, which are common side effects of ketosis. The Atkins diet has a list of vegetables that are and aren’t allowed. The allowed list includes most salad vegetables. Vegetables that aren’t allowed tend to be starchy vegetables, like potatoes. The list of allowed foods include 110 to 170g of any meat, poultry, fish, shellfish or eggs per meal. Dairy foods, such as hard and semi-soft cheeses, are also allowed in moderation. The list of not-allowed foods includes pasta, bread and fruit. Because constipation is common during this phase, the Atkins diet recommends drinking plenty of water, up to 8 glasses a day during this phase. Alcohol is banned and caffeine is limited. To ensure the body is getting the micronutrients it needs, supplementing the diet with a daily multivitamin is recommended. Weight loss during this period can be as much as 2 to 4kgs per week. The ongoing weight loss phase involves slowing increasing carbohydrate intakes, while still remaining low enough to maintain ketosis. This phase of the diet should be maintained until the dieter is within 5kgs of their ideal body weight or target body weight. Each week for nine weeks, followers of the Atkins diet introduce new types of carbohydrate foods into their diet. Examples of these include nuts and seeds, berries, starchy vegetables and whole grains. Alcohol is also permitted during this phase as part of the carbohydrate allowance. During the pre-maintenance phase, the goal of the Atkins dieter is to find the maximum amount of carbs they can eat each day without gaining weight. This may or may not involve a level that maintains ketosis. Once a dieter reaches and maintains their goal weight for a month, they can increase their daily carb intake by 10g until they begin putting weight back on. At the point when they do begin putting weight back on, carbs are dropped back by 10g per day. By the time people reach the lifetime maintenance phase, the theory is that dieters have adopted a completely new diet that they will be able to stick to for life. If that isn’t the case, and dieters put on significant weight again, they can go back to any of the earlier stages of the diet to lose weight again. The following recipes represent the type of meals you might enjoy on the Atkins diet. As well as potentially helping with weight loss, the Atkins Diet may also help manage or improve health conditions like high blood pressure, type 2 diabetes, heart disease and metabolic syndrome. Before going on any weight loss diet, always check with your doctor or primary health care provider before starting, especially if you have a history of health conditions and are taking medication. Over the long term, though, studies show that low-carb diets like Atkins are no more effective for weight loss than are standard weight-loss diets and that most people regain the weight they lost regardless of diet plan.